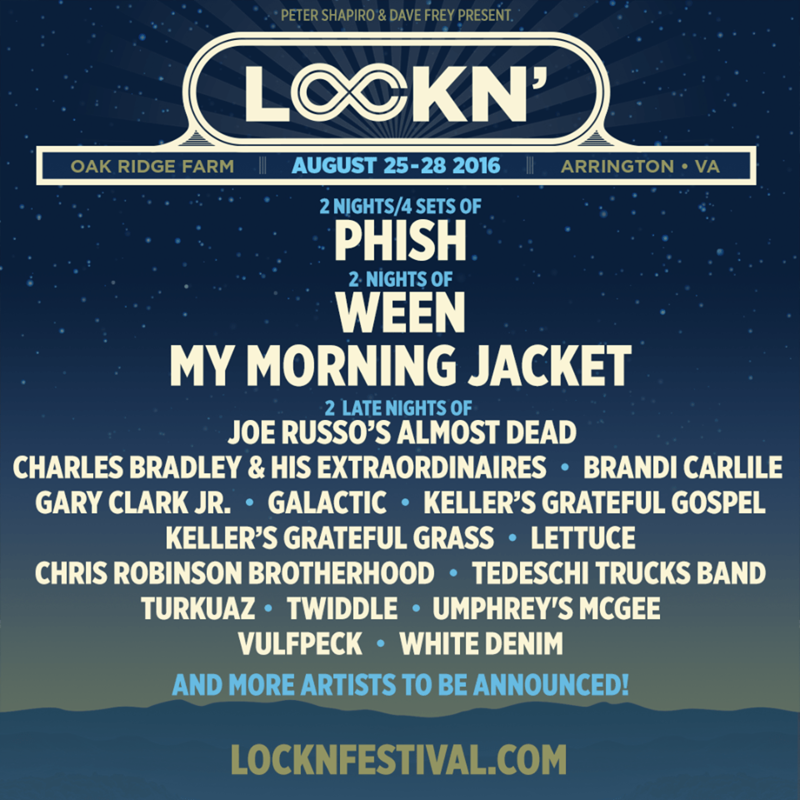 Not surprisingly boasting one of the best festival lineups yet, the inimitable Lockn’ Festival announced its initial lineup today. The addition of 2 nights (4 sets) of Phish is absolutely massive, as are Ween and My Morning Jacket. Most of the other acts on the bill have played the festival before, but that doesn’t make their appearance any less potent. Among the returning artists are Tedeschi Trucks Band, Umphrey’s McGee, Chris Robinson Brotherhood, Keller Williams (Grateful Gospel & Grateful Grass) and more. The festival will take place August 25-28, 2016 at its regular home at Oak Ridge Farm in Arrington, VA. This entry was posted in Festivals, Just Announced and tagged Arrington, Chris Robinson Brotherhood, Festival, Festival Season, Keller Williams, Live Music, Lockn', Lockn' 2016, Lockn' Festival, Music Festival, My Morning Jacket, Oak Ridge Farm, Phish, Tedeschi Trucks Band, Umphrey's McGee, VA, Virginia, Ween.